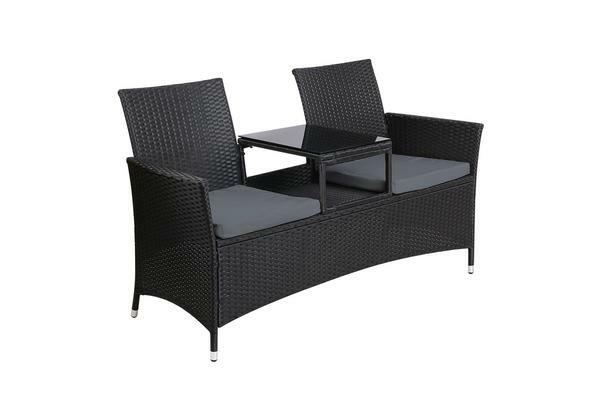 Enjoy the outdoors or chill out with a friend with the Gardeon Forres Loveseat. 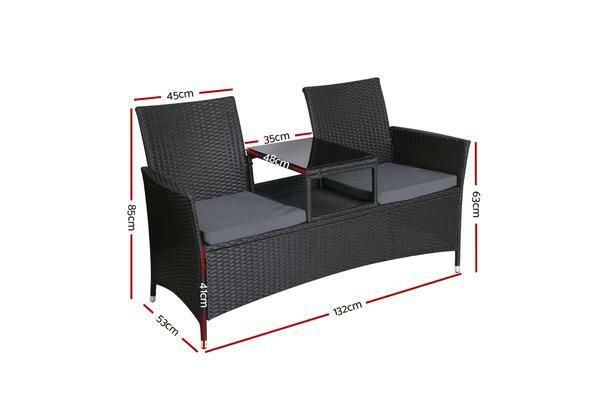 Made of PE wicker and powder-coated steel, the integrated two single seater linked with a centre 5mm thick glass table is just perfect for use in your garden, deck, poolside or even indoors. Every part of the ensemble is made waterproof and UV-resistant for durable use in any weather condition. The seats also come with richly padded high-density cushions with removable and washable covers.